Fairstone: Help a child in Africa! What if you could choose an attractive paving product for your garden that could also benefit the life of a child in Africa? 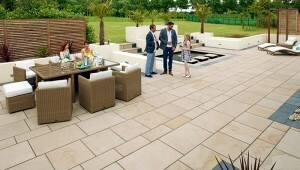 Marshalls Fairstone range offers just that. For every metre of this stone sold, £1 will be donated to UNICEF, a charity working to eradicate child labour. This funding will help to carry out research into quarrying in the Indian State of Rajasthan and will help develop interventions to tackle child labour. Not only is Fairstone quarried and processed to the standards of the Ethical Trading Initiative, it is available in sandstone, limestone, granite and slate, meaning you can choose a product suited to your budget and taste, while giving you the satisfaction of knowing children were safe whilst manufacturing this product. The Ethical Trading Initiative also ensures workers in Africa receive a fair working wage and that safe working conditions are maintained, giving you piece of mind when buying this product. This clip gives you more information on how Marshalls are working together with UNICEF. https://www.youtube.com/watch?v=fjTPqg1A0W4.